Cap kit for the Commodore SX-64 Monitor. SX-64 computer cap kit sold separately. 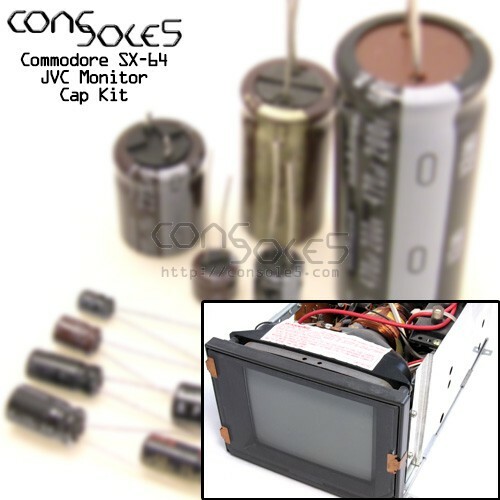 This kit contains all parts necessary to replace the capacitors in the Commodore SX64 Monitor (computer kit sold separately). For capacitor lists, see our Commodore SX-64 wiki page.